We are a small outdoor construction company. All of our employees have at least three years experience and have ongoing masonry training. With this, we can guarantee you professionalism and quality, without breaking your bank. 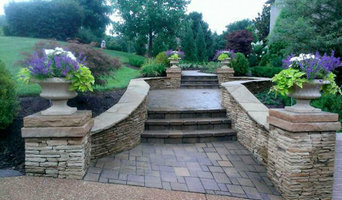 That said, our services span from: * Retaining wall installation( Alan block specialist) * Fire place * Stone columns * Stone patio * Retaining walls * Entries and Pathways * Car parking/driveways * Decks, pool decks, Stone veneer, gates, entrance, outdoor kitchens, gate entry etc... For the purpose of efficiency and guaranteed quality, we only limit our services to natural stone and alan block. We appreciate you business! 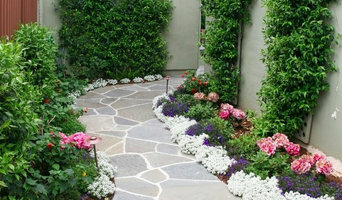 Allin Landscaping offers creative landscaping to homeowners in the Nashville area. We specialize in people. We love creating spaces to enhance people's lives with a fabulous backyard getaway. CJ Hardscapes has created beautiful Hardscapes, Outdoor Living Areas, Fireplaces, Retaining Walls, Driveways, Pathways, Stairs & more since 1997 in the Middle TN area. Our company motto is "Expertise is a Beautiful Thing", taken directly from a client testimonial in which she lamented the fact that, prior to contracting Darren Bishop Landscape & Design, she had spent thousands of dollars with unprofessional landscape companies who, while they may have had the right tools & trucks, had zero expertise in the field of landscape & design. In a down economy, we are finding that there is no shortage of these types of companies. As a Nashville native, Darren earned a Bachelor of Science in Ornamental Horticulture & Landscape Design from the University of Tennessee, Knoxville. Darren has long held an appreciation for outdoor spaces meant to encourage interaction with the natural environment, and started his own company in order to share his talent and knowledge-base directly with clients. 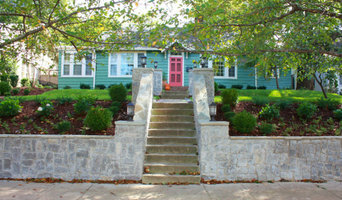 Bringing fifteen years of experience in landscape design/build in the Nashville area, he is passionate about his craft. Beyond his design skill & extensive plant knowledge, Darren has a sincere desire to understand each client's goals & visions for their particular property in order to create value for that individual client. From initial site analysis through plant selection and implementation, Darren views each property as a unique opportunity to work with the given surroundings and architecture to create a purposeful and aesthetically pleasing environment, and thoroughly enjoys participating in the transformation from uninspiring environments to distinguished spaces. Darren has been married to Meredith, our firm's managing member, for six years, and together they are raising their young children, Les & Frances. Darren & Meredith's interests include history, travel, Italy, chicken-keeping, cooking, gardening, & SEC football. They are members of Covenant Presbyterian Church in Nashville. We are fully insured and licensed, and are members of The Professional Landscape Association of Nashville Tennessee and the Professional Landcare Network. Our ultimate goal in designing and installing new gardens is the satisfaction and delight of our clients as they begin to enjoy their new environment. ACER, four letters with four values. Friendship, Knowledge, Excellence and Service. Full service landscape contractor in the Nashville and surrounding areas. We take pride in our ability to exceed customer’s expectations. For over 30 years the relationships developed through our open communication and knowledgeable solutions have earned us high praise from our customers. We offer the best selection of natural stone in Nashville. No matter what type of outdoor project you’re working on, we have the products to help you get it done. Dreamscapes LLC is dedicated to providing each client with the best service in the industry. As a full service landscape and irrigation company, we provide a turn key approach for all areas of landscaping, irrigation, low voltage lighting, and outdoor living. At Dreamscapes, we design, build, and maintain custom spaces of lasting beauty. The exterior appearance of a home or commercial property should exemplify both superior quality and professionalism. Our turn key approach enhances our ability to meet all of your design, installation, and maintenance aspirations. Please contact us today and let us get started making your outdoor dreams come true! We are a licensed, full-service, general contractor in Tennessee with reciprocal capacity across the southeastern United States. We are a bonded, insured, and OSHA compliant corporation with 12 years of experience. Our expertise, quality workmanship and customer service have afforded us the opportunity to be selective in recent projects. In our experience, we have completed a wide-range of projects from the new, ground-up construction of commercial properties, to large custom homes, to residential outdoor living spaces, to additions, renovations, and remodeling. Gardens of Babylon is Nashville's largest family-owned landscape company and garden center specializing in sustainable, eco-friendly design + build practices. Our team of landscape architects and designers create easy-to-maintain outdoor spaces with the highest focus on beauty and aesthetics. SITEWORKS - Middle Tennesee's most trusted name in outdoor construction. Specializing in custom swimming pools and spas, outdoor water features and waterfalls, ponds, retaining walls, permeable driveways, custom fireplaces and outdoor kitchens, patios, decks, pavilions, and more. 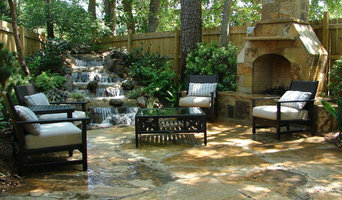 We create elegant outdoor living spaces for entertaining, relaxation, and enjoyment. 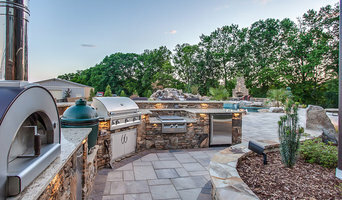 With two decades of experience, the in-house staff has all of the resources to create outdoor settings, pools, and masonry structures where you will be proud to entertain your friends. Natchez Stone Company, LLC takes pride in its ability to offer turnkey services for our customers. We are able to take a project from concept to completion using our,talented staff, equipment, material and in house labor resources. Our high standards and keen attention to detail have helped us build our business through a network of loyal repeat customers and referrals. Natchez Stone Company, LLC is a Masonry General Contractor with General Liability Insurance and Workers Compensation Insurance in the State of Tennessee.